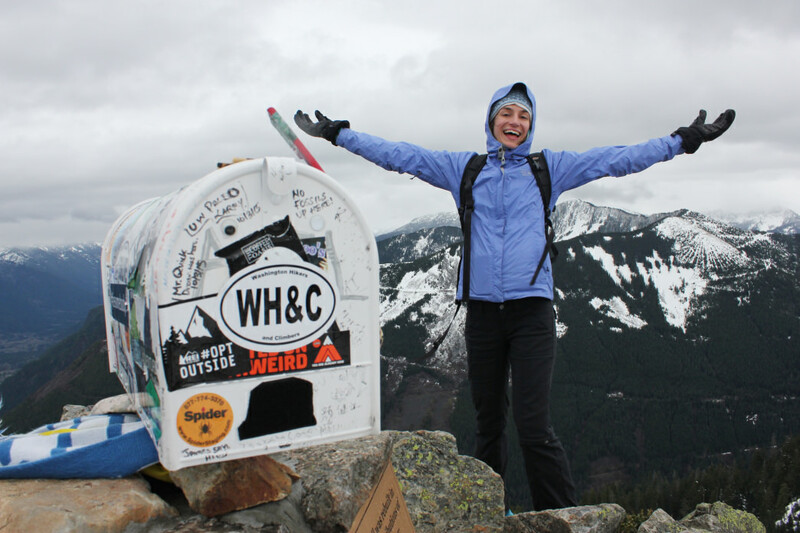 No Seattle-area hike is more legendary than the old trail up Mailbox Peak. Rocketing up an elevation gain of 4,000 feet over just 2.5 miles, the route doesn’t waste time on switchbacks; it takes the straightest, steepest approach to the summit. But don’t let the climb’s formidable reputation scare you away. 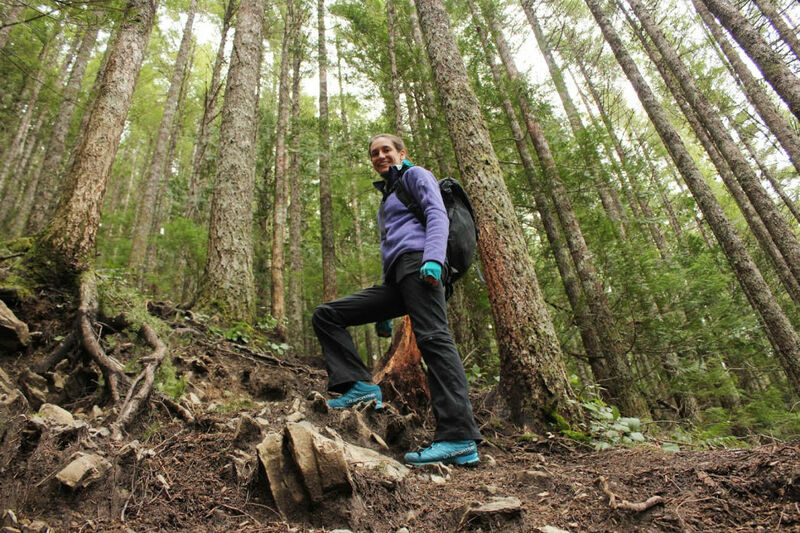 Mailbox Peak is a bucket list trek that is achievable—and even enjoyable (thigh burn and all)—for most local hikers who arrive at the trailhead with an appropriate plan and attitude. One thing that your plan must include are a pair of good hikers likeLa Sportiva’s Synthesis Mid GTX boots found at REI. 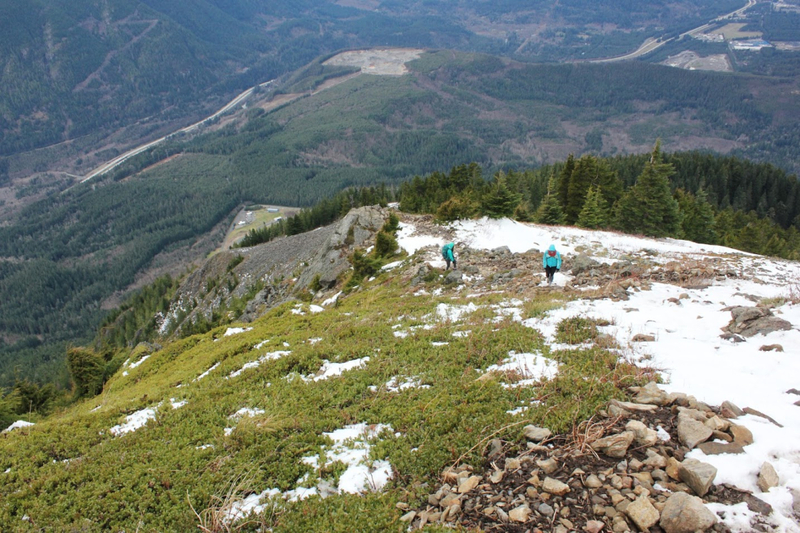 The trail’s roots trace back to 1960s, when Seattle postman Carl Heine lugged an actual mailbox to the peak’s summit. While he was the director of Valley Camp, a Lutheran family retreat center that meets near the mountain’s base, he sent teenagers on missions to sign the summit register he left in the box. Over the next three decades, word of the tough trek took off as local hikers began to recommend the ascent as a good training ground for bigger summits in the Cascades, such as Mount Rainier. 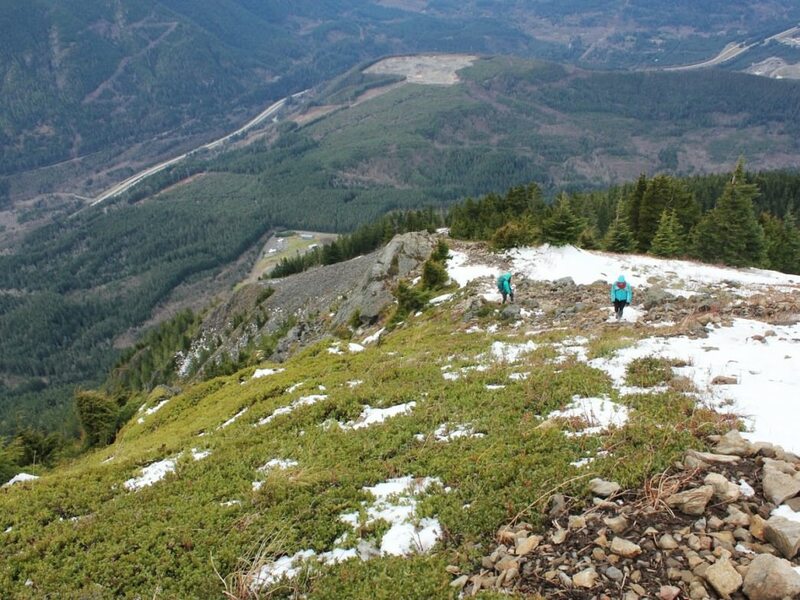 Today Mailbox Peak is considered one of the most popular, and most difficult, objectives in the I-90 Corridor (though since 2014 there is also the option of taking a new and longer but gentler path to the top). To get to the trailhead, take I-90 exit 34 to head north on 468th Ave SE for about 0.5 miles, until you reach Middle Fork Road. Turn right, and then continue on Middle Fork Road for 2.5 miles to the paved turnoff that goes up a short hill to the Mailbox Peak parking lot. The lot does fill up on weekends so try to arrive early—and don’t forget to bring your Discover Pass, which is required to park here. After leaving the car, reach Mailbox Peak Road from the east side of the parking lot. Continue past the new trail for about 0.25 miles to the old one. Once at the trailhead, you will be greeted by some intimidating signage from the Department of Natural Resources: “Mailbox Peak Trail is a very steep, wet, unmaintained, difficult, challenging trail” and “search and rescue teams are frequently called to this trail to assist distressed hikers.” It’s true: As Mailbox Peak’s popularity grew, so did the frequency of mishaps on it. This is another reason why it’s important to get an early start to the day, and why it’s important to keep your wits about you as you hike up: Most hikers who call for rescue do so either because someone in their group tripped on one of the many exposed roots or rocks and injured themselves, or because they lost the trail (often in the dark). But, as long as you’re ready for a big day ahead of you, have confidence in your abilities, take a deep breath, and push on. The trail starts pleasantly enough along a creek through a forest of large trees. But the real work begins only a fifth of a mile later, as the trail starts ascending—and continues climbing for the next two miles. 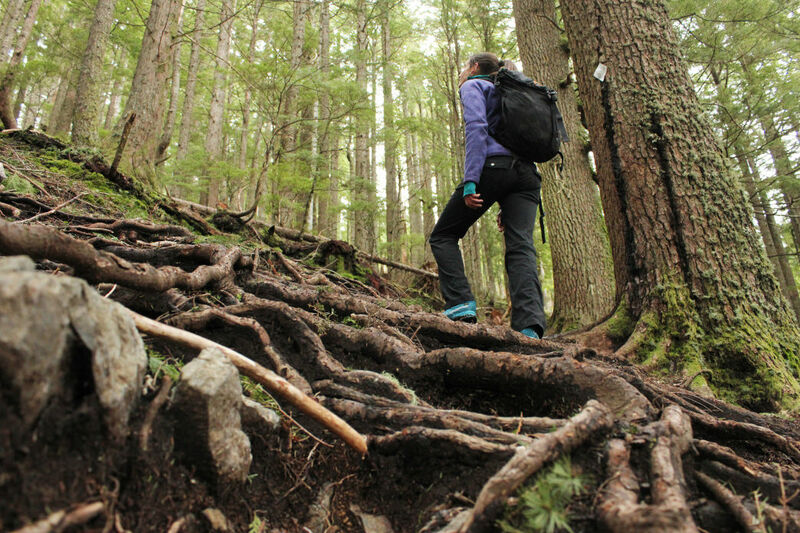 The path gets steeper the higher it goes, and often travels over brief sections of slippery tree roots and rocks. As you climb higher, the trees thin out, and you will reach a point where you can see the sky through the branches. Feeling like your legs could sure use a rest, you’ll start to hope that the summit is within easy reach. But the climb is not over yet. This is also where it becomes easy to lose the trail, as there are several sections where it is undefined. Keep an eye out for the reflective white diamonds on the trees that guide the way. You might find some notes of encouragement written on them, too: messages from your comrades in hiking before you. Before you know it, you’ll reach a crest that will offer a peek of the surrounding mountains. The trail will wind around a bit farther until it meets up with the new Mailbox Peak Trail. From here you have just half of a mile—and 960 feet of elevation gain—to the summit. The trail winds back into the forest for a fifth of a mile until it comes to the open ridge that leads to the top. This final section will feel like the hardest of the climb. But when you finally catch a sight of the mailbox that marks your destination, you’ll be glad you persevered. On a clear day, savor glorious views from the summit: Mount Rainier, The Enchantments, and the I-90 corridor below. Take a moment to peruse the contents of the mailbox—knick-knacks like action figures and buttons, journal entries describing the adventure on the trail, letters left for a friend or loved one to find once he or she makes the hike—and don’t forget to leave something of your own. Of course, the top is only halfway there, and many find the crux of trail is actually the way back down. Consider taking the new trail for the return journey: While it is longer (4.7 miles each way), instead of taking the straight shot you’ll wind down a series of switchbacks, making the overall trail far less steep. Your knees will thank you.